NOS/Obsolete Parts | H.A. FREITAG & SON | INC.
Our Parts Department stocks quality General Motors parts for new and older vehicles. Since we have been in business since 1905, our Parts Department has an extensive inventory of GM parts that date back to 1905. If you have an older vehicle and are looking for GM parts to repair it with, please check the excel listing below to tell you if we stock the part. For a complete numeric listing of obsolete parts available click on the link below and check our stock for availability. 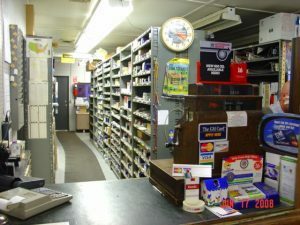 Parts Department is open from Monday through Friday from 8:00 AM to 5:00 PM.